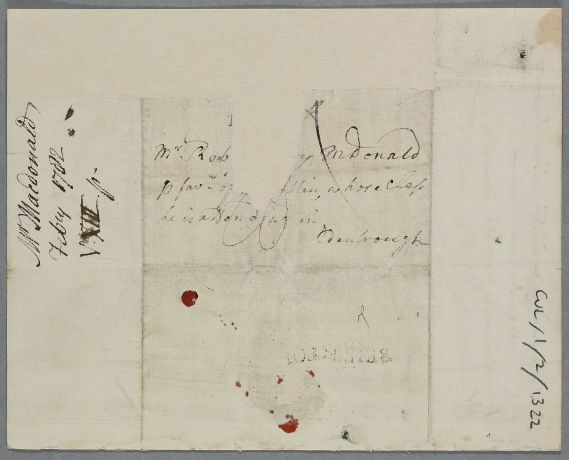 Letter from W. McDonald concerning his own case, addressed to Robert McDonald in Edinburgh. 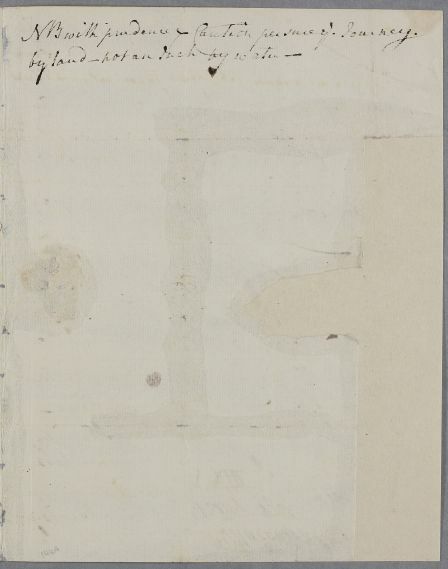 Summary Letter from W. McDonald concerning his own case, addressed to Robert McDonald in Edinburgh. 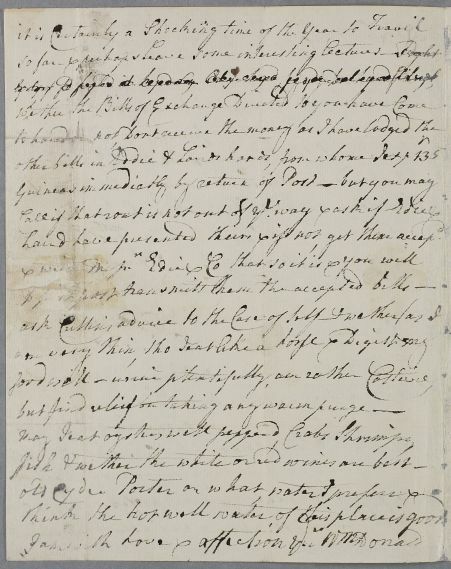 Case of Mr Macdonald who Cullen thinks has two, distinct conditions - a congested liver and catarrh - both the result of coming back to a cold climate from the West Indies. [Laird?] 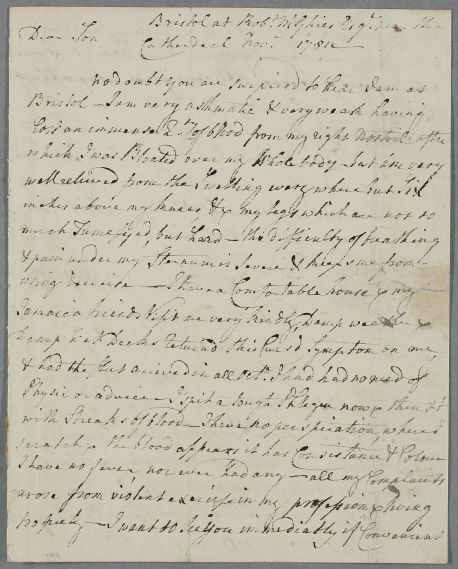 have presented theirs & if not, get them accepd. I am with Love & affection Yrs.